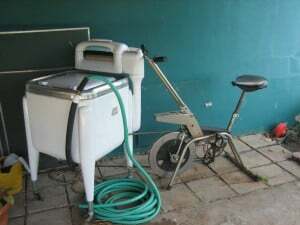 Pedal powered washer made from a 50 gallon drum and an old bike.The washing machine was built in 2 days from scrap material. Put your clothes and some soap (garden-friendly, like Oasis) in, fill it up with water, let it soak for half an hour, then agitate. 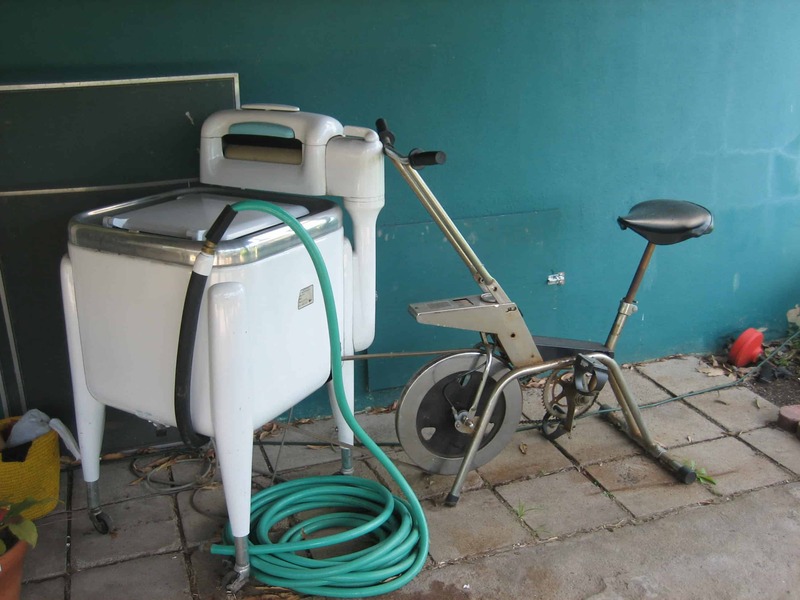 It lives outside, so when you’re through, the water drains out a hose in the bottom, ready for convenient watering. A belt connects a stationary bicycle to the drive shaft of an old wringer type washer. 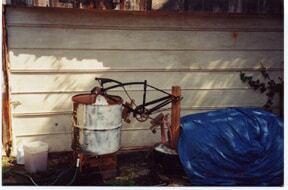 A hose fills the machine, and water drains out to irrigate the garden.